On any given Sunday morning, we receive e-mail chains of epic proportions from readers scrambling to figure out whose spark of genius will bring them to the best table in town. 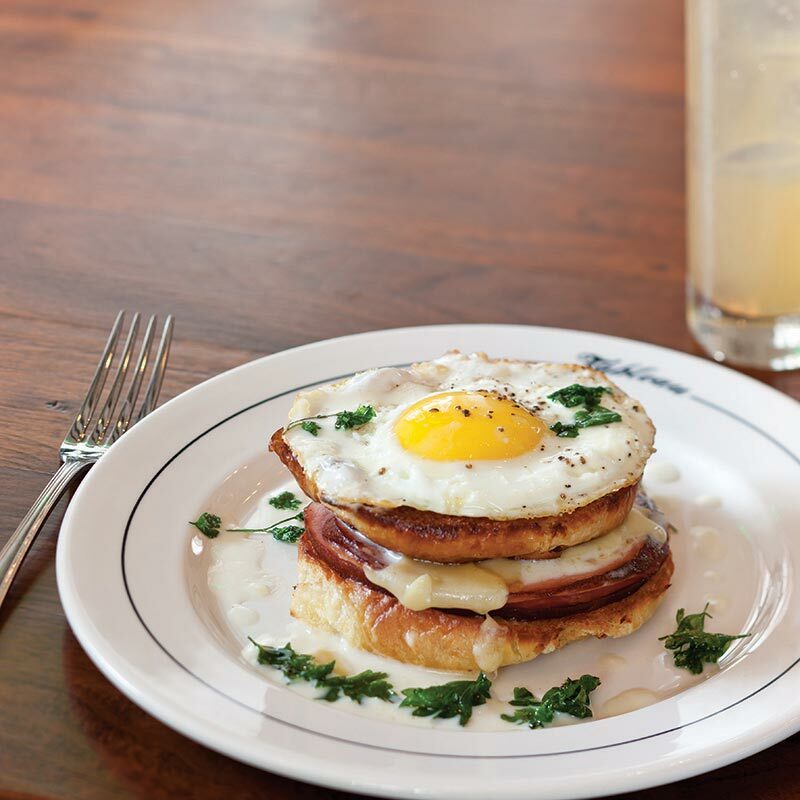 “Let’s do brunch” is the Louisianian battle cry for celebrating everything from azaleas coming into bloom to St. Patrick’s Day, Jazz Fest, the Easter bunny, and the spring equinox. Any excuse will do when the crawfish are running good and Pontchatoula strawberries are at their peak. 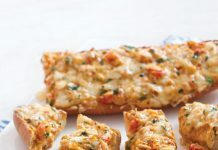 Louisiana’s lively brunch tradition dates back to mid-19th-century New Orleans, when the concept was introduced in its modern form by Madame B.gu. as a leisurely six-course “second breakfast” that began at 11 a.m. and usually lasted for 3 hours. The custom began in 1863 at Dutrey’s Coffee Shop, which was renamed Madame B.gu.’s Restaurant in 1880 and Tujague’s in 1914. Although the word “brunch” was coined by Guy Beringer in his 1895 article titled “Brunch: A Plea” that appeared in the now defunct British Hunter’s Weekly magazine, Madame B.gu.’s precursor to brunch made its debut 32 years earlier. A German immigrant whose first marriage was to a Frenchman from the Gascony region (known for its omelets and foie gras), New Orleans’s first celebrity chef began serving her elaborate omelets and Creole delicacies to French Market butchers who breakfasted late in the day. 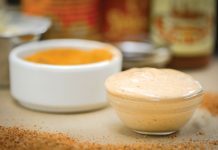 Sunday brunch, often served up with a side of jazz, blues, gospel, or zydeco, and plenty of hot sauce, is embraced as one of our most joyful traditions. Here are 10 of our favorite spots that will kick off your week in style, and put a little Louisiana pep in your step. Coulis, a cool little down-home diner on Prytania Street, was acquired in 2009 by the late Chef James Leeming, a Nicaragua native who was a 12-year Commander’s Palace veteran. His modestly priced high-end breakfast and brunch fare remains on the menu, thanks to his wife Heather who runs the place. It continues to attract regulars who are willing to wait in line for generously apportioned Mexican-inspired dishes and such favorites as the oversized pancakes and airy omelets (try the chili cheese with avocado), bananas Foster French toast (a cause for celebration unto itself) and the hearty Corny Beefy entrée designed with perfectly spiced house-made hash, poached eggs, and hollandaise as smooth as velvet. It’s also popular with kids who like smiley faces on pancakes. On the North Shore, you’ll find cookbook author/TV personality/celebrity chef John Besh’s picturesque La Provence, an elegant French country restaurant. With hardwood floors and a fireplace near the bar, the charming bistro is flanked by several acres of gardens and grazing livestock, which is fun checking out after a leisurely Sunday brunch. 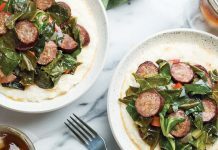 Favorites at this bucolic hideaway include the yard egg and crabmeat omelet with pungent goat cheese and wild mushrooms, jumbo shrimp with smoked sausages and grits, and the savory ragout of slow-cooked venison prepared by Chef Erick Loos. For an outstanding dessert, order the sweet potato beignets with Steen’s cane syrup ice cream and candied pecans, an epic creation. It’s an enjoyable, rather scenic drive from New Orleans. On a much more casual note, those seeking a healthful brunch alternative should check out the no-frills Satsuma Cafe. The chef focuses on sourcing fresh produce from local suppliers at this hip little coffee shop with two locations (Dauphine Street in the Bywater and on Maple Street Uptown). House-special juices, including the delicious vitamin-packed Green Drink (kale, fennel, cucumber, lemon, apple, and celery), daily quiche offerings, and an assortment of creative egg dishes, salads, and sandwiches can be ordered at the self-service counter. 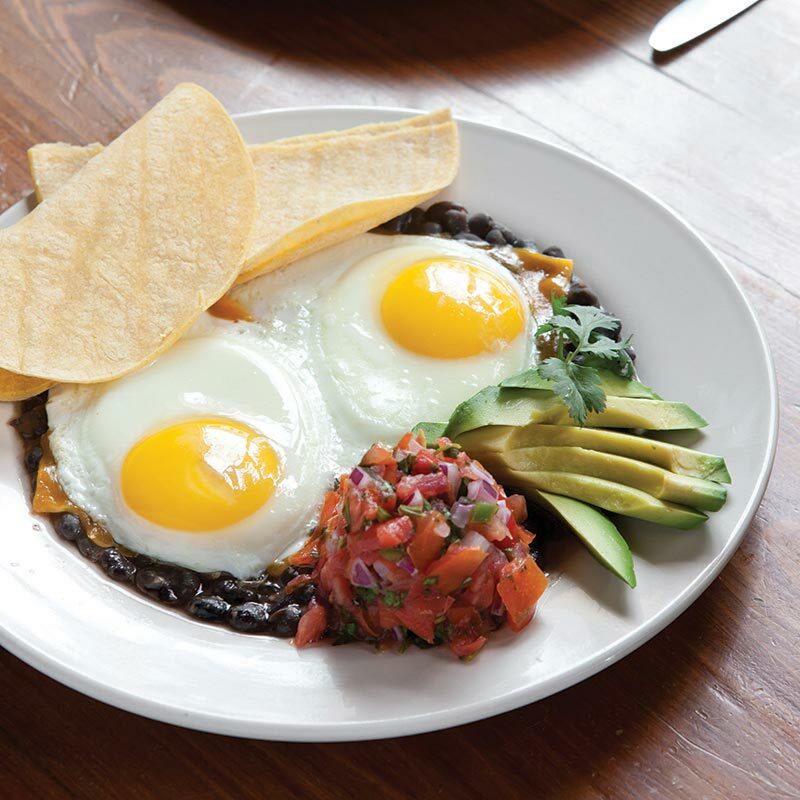 Try the Mexican breakfast plate with creamy black beans and eggs, pico de gallo, avocado, Cheddar cheese, and corn tortillas, or the green eggs and ham with basil pesto, melted Swiss, and red onion on a croissant. On Saturday and Sunday mornings in New Orleans’s Irish Chanel, spicy Bloody Marys flow freely at the self-serve bar, and the jazz band is just picking up at Atchafalaya, where crowds line up for tables in the narrow art-filled dining room. Stiff eye-opener cocktails, combined with Eggs Atchafalaya—full of fried green tomatoes and buttery jumbo lump crabmeat—are a winning formula for a great weekend, so put on your dancing shoes because it’s Second Line time. Recently appointed Chef Chris Lynch (a former chef de cuisine at Emeril’s and a consultant for HBO’s Treme) prepares spicy heads-on shrimp and grits, hearty duck hash, and Eggs Tréme (fashioned with a boudin cake and poached eggs crowned with popcorn crawfish). People awaiting their turn gravitate outdoors while enjoying a drink on tree-lined Louisiana Avenue. The atmosphere is convivial at this mostly-locals hangout. Step into the charming dining room at La Petite Grocery on Magazine Street, order the incomparable Big Red Hammer (an original Bloody Mary with poached shrimp, blue crab claws, and house-pickled veggies served in a Mason jar with a fork), then delve into the delectable brunch fare by Chef Justin Devillier. A 2012 and 2013 James Beard Award finalist for Best Chef South, he enjoyed a wild run on Bravo TV’s Top Chef. Two must-try appetizers: the amazing blue crab beignets and braised lamb shank augmented with a fried egg and creamy Parmesan grits with just a hint of oregano. For a main course with layers of flavor, order the blue crab and eggs Florentine served with a fluffy house-made biscuit, lacinato kale, and smoked crab butter, or the chef’s tender panéed rabbit complemented with tomato and sweet corn compote, a heap of spicy collard greens, and bacon hollandaise that renders a smoky afterglow. You can sit on the breezy balcony overlooking Jackson Square or dine in the verdant courtyard in the heart of the French Quarter and enjoy the marvelous spring weather at Dickie Brennan’s stunning 16,500-foot, three-story Tableau that is adjoined to the historic Le Petit Théâtre (America’s oldest community theatre that was rescued and renovated by Brennan). Enjoy a wide array of creative handcrafted cocktails (in the Brennan family tradition) and memorable house specialties prepared by Chef Ben Thibodeaux, including his sassy Creole Scotch Eggs (soft-boiled and andouille battered, fried, and served with Creole mustard cream and lemony poached oysters), and a luscious carrot cake pain perdu, which is jazzed up with Creole cream cheese ice cream, candied apple-wood-smoked bacon, and cane syrup. This dish is simply to die for! Heading toward Cajun country is Cristiano Ristorante, a sophisticated establishment near the bayou in Houma, featuring a plush lounge and a wine boutique lead by 2012 Chef to Watch Lindsay Mason. Located on High Street, it’s the best Sunday brunch spot in town, complete with a romantic courtyard and such delectable offerings as prime tenderloin grillades with creamy polenta grits, house-made bagels with jalapeño cream cheese served with onion jam and smoked salmon, and a variety of three-egg frittatas (ask for roasted asparagus, shrimp, and Fontina for a winning combination). 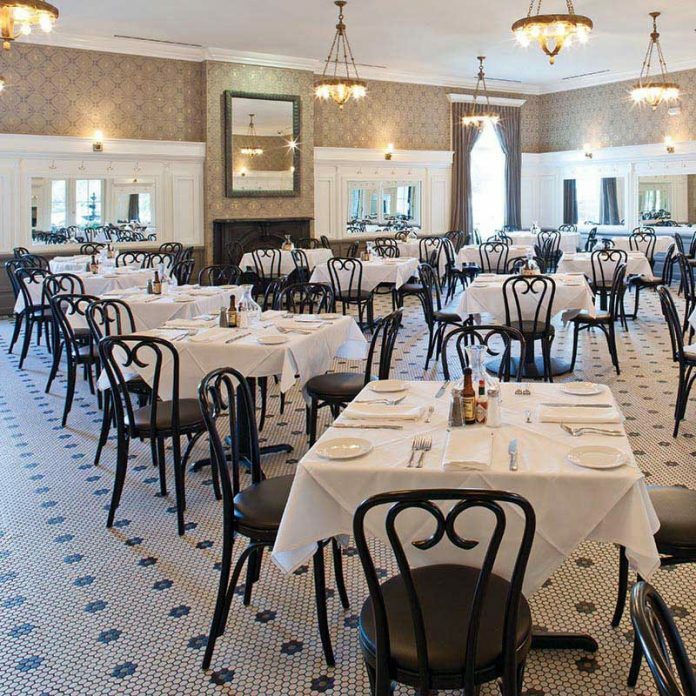 Galatoire’s Bistro on Perkins Road in Baton Rouge is another elegant choice for an al fresco Sunday brunch experience, with its beautiful 40-seat patio. An offshoot of the Crescent City original, you’ll find signature brunch cocktails, such as brandy milk punch, a classic Champagne cocktail, and stiff Creole Bloody Marys. 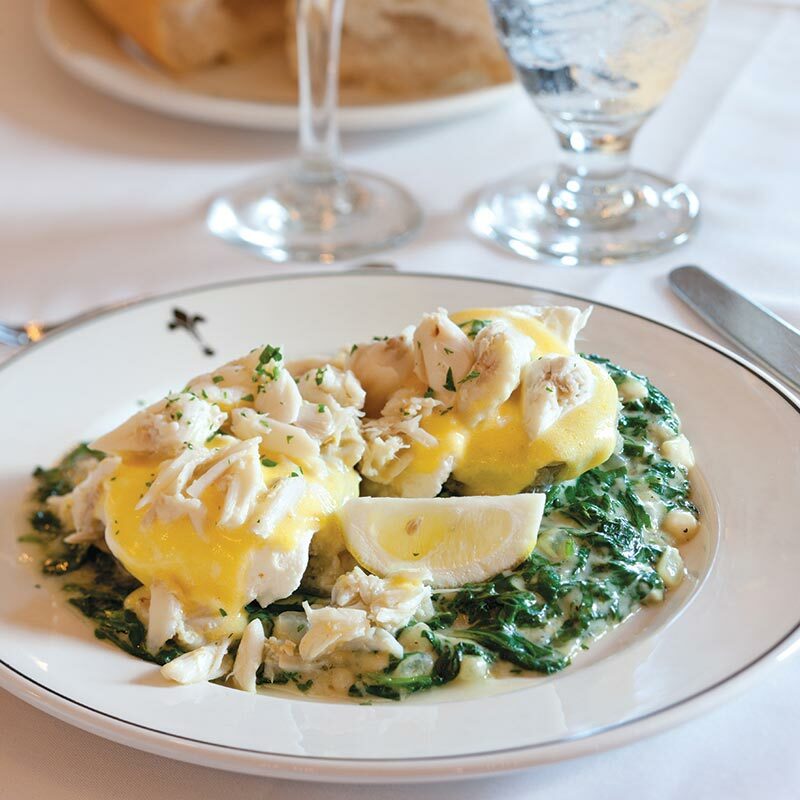 Order the shrimp with oven-roasted garlic grits and apple-wood-smoked bacon and okra, or the fabulous duck and andouille gumbo, and classics such as eggs Benedict and eggs Sardou (ask for some lump crabmeat on top). Another must-try is the braised pork debris over an open-face biscuit topped with two sunny-side up eggs. The tiled dining room echoes with conversation and the occasional live acoustic guitar, but not every Sunday. 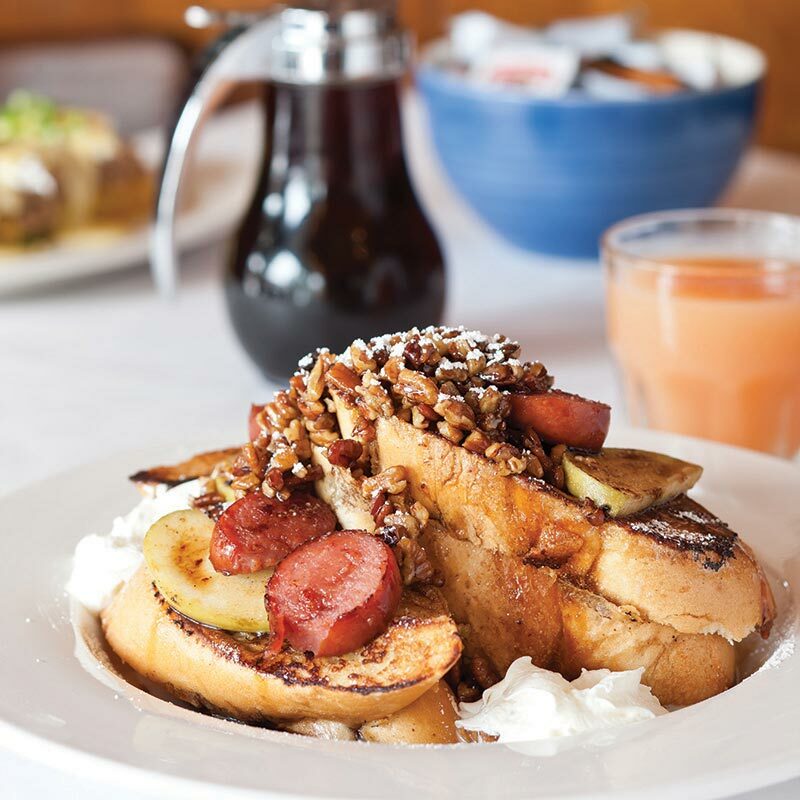 The popular Blue Dog Café offers one of the most fun-filled, spirited Sunday brunch in Lafayette, with thumping live music ranging from Cajun to zydeco, folk, and swamp pop. The charming, family-friendly café and bar, located on West Pinhook Road, serves up great cocktails. And there is a colorful selection of art by world-renowned George Rodrigue, famed for his blue dog paintings and Cajun scenes. The extensive, prix-fixe offerings include crab cakes Benedict, mouth-watering prime rib, and tender pork grillades, and buttery grits. Be sure to try the made-to-order omelets, some excellent corn and crab bisque (the best in town aside from Jolie’s Louisiana Bistro), oyster rice dressing and “dirty dog” rice dressing, and specials such as fried catfish with crawfish étouffée, crawfish enchiladas, and an assortment of irresistible desserts. Everything is fresh, and the Cajun cooking is the real deal. 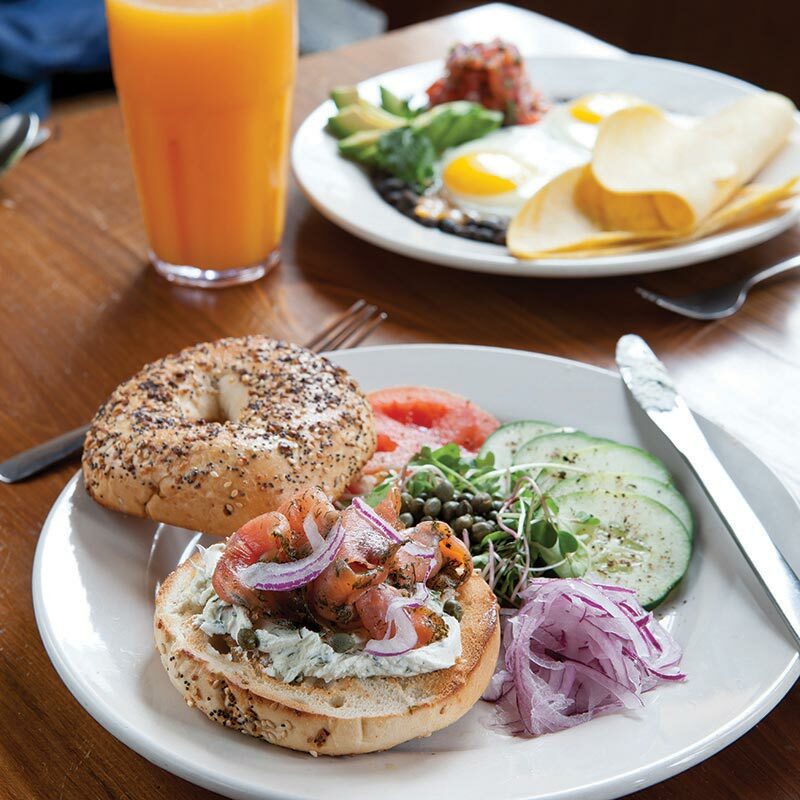 This is a great place to bring children for brunch, because of its lively atmosphere and special kid-friendly offerings.